Watch out Tesla – the Lucid Air shouldn’t be underestimated. The EV market is getting increasingly saturated with manufacturers trying to take on Tesla. With 1,000 horsepower and an impressive 400-mile range, the Lucid Air has shown potential to be a very worthy competitor so far. After demonstrating the Air’s ability to drive sideways in the snow during winter testing, Lucid Motors has put the luxury EV through some intense high-speed stability tests using its Alpha Speed prototype vehicle fitted with a rollcage – and the speed it achieved has instantly got our attention. Testing took place at the TRC Ohio’s 7.5-mile oval track to evaluate the Air’s stability and powertrain thermal management at high speed. Incredibly, the electric sedan hit 217 mph during the test, putting it on par with some of the fastest electric cars in the world like the NextEV NIO EP9 and Rimac Concept One. It’s worth mentioning too that the software was limited to 217 mph, and Lucid intends to use the data gathered from the test to make further improvements to the EV before testing it again at even higher speeds. 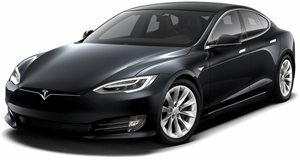 Tesla beware - this electric sedan shouldn’t be underestimated. If you couldn’t already tell that Lucid has Tesla firmly in its sights, the 400-horsepower base model will cost less than $60,000 (the Tesla Model S starts at $67,000), though the fully upgraded 1000-hp Lucid Air+ will set you back over $100,000. Power is sourced from two electric motors with a 100 kWh battery pack as standard and an optional 130 kWh battery pack. 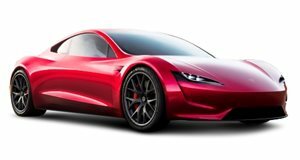 Lucid is hoping to put the Air into production in 2019, at which point the new Tesla Roadster should be on sale which will be even faster than the record-setting Model S. Still, Lucid could be a serious threat to Tesla – particularly as its chief technology officer Peter Rawlinson was also the chief engineer for the Model S.